My daughter has been blessed with a good amount of hair since she was born. She never lost any of it, and it continues to grow! I’m not ready to cut it yet and so I have been in need of some hair bows to keep her hair out of her face. 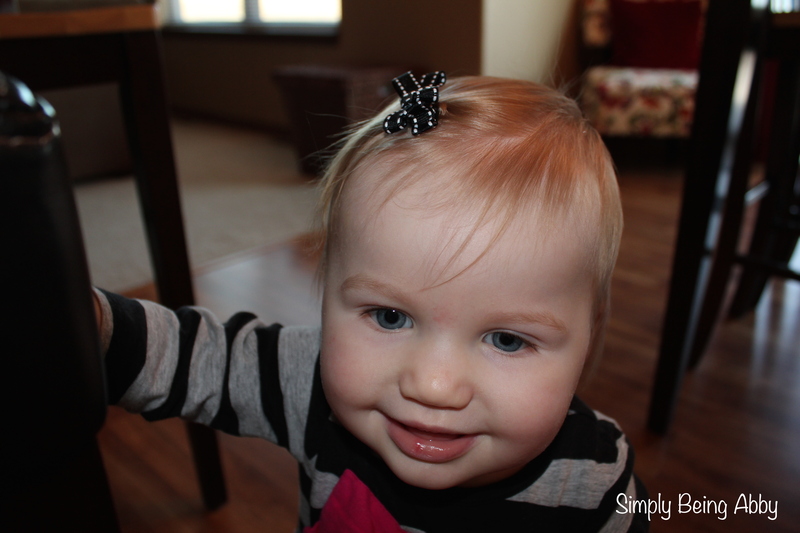 We used to do the headband thing, but since she learned it was on her head, headbands have lasted for about five seconds (tops!). Solution? Bows! I’ve searched for cute bows and have had some luck finding reasonably priced ones at Target and Buy Buy Baby, but I was still running into the problem of not having bows to match certain outfits that Maddy wears. Some of the bows I bought would also slip out of Maddy’s hair, because it is so fine. 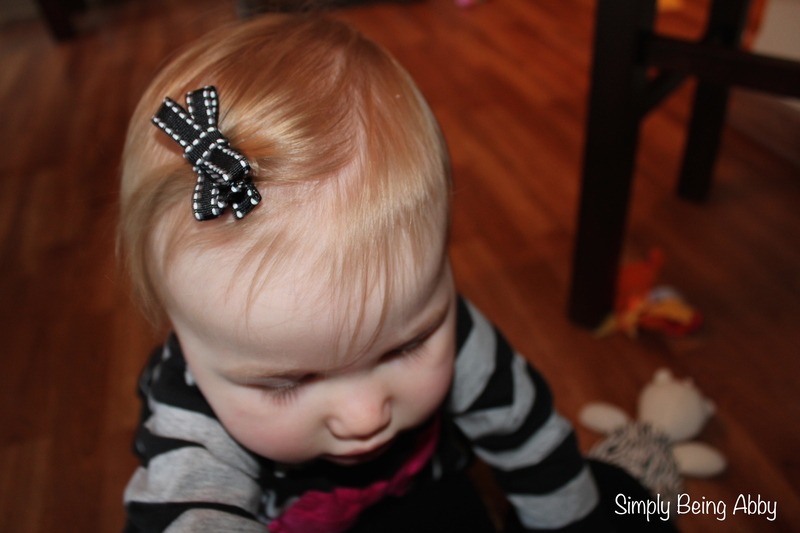 I saw the idea for making your own hair bows on Pinterest (where else?!) and decided to give it a try. They incorporate a “no-slip” idea that has worked for us! The blog link to where I originally found the idea can be accessed here, however, I am going to post my own tutorial with the changes I made to the process after some experimentation. 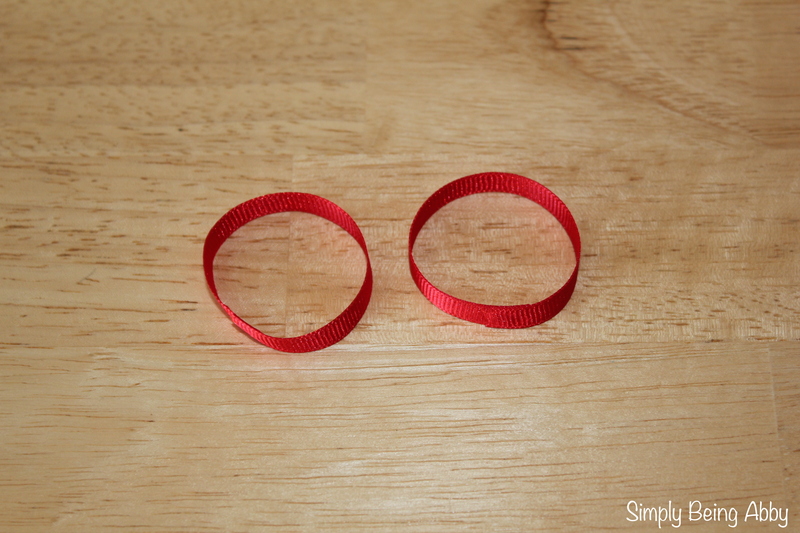 RIBBON: I tried both grosgrain and other types of ribbon, and did find that grosgrain worked the best. 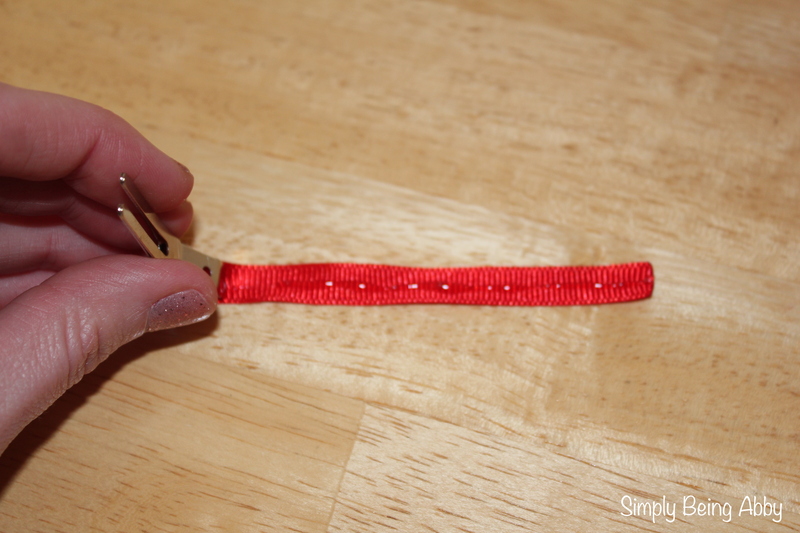 I also experimented with both 3/8″ and 5/8″ widths, and found the 3/8″ ribbon to make a neater looking bow using this technique. 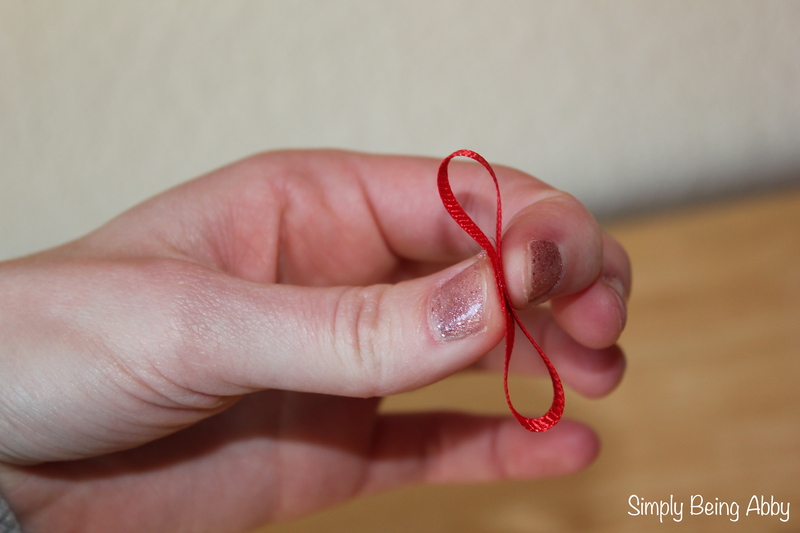 I bought most of my ribbon from Hobby Lobby, but found cute patterns at Michaels as well. METAL DOUBLE PRONG CLIPS: I found mine at Sally Beauty Supply. They came in a box of 100 for around $6. I have lots left to make more clips down the road! 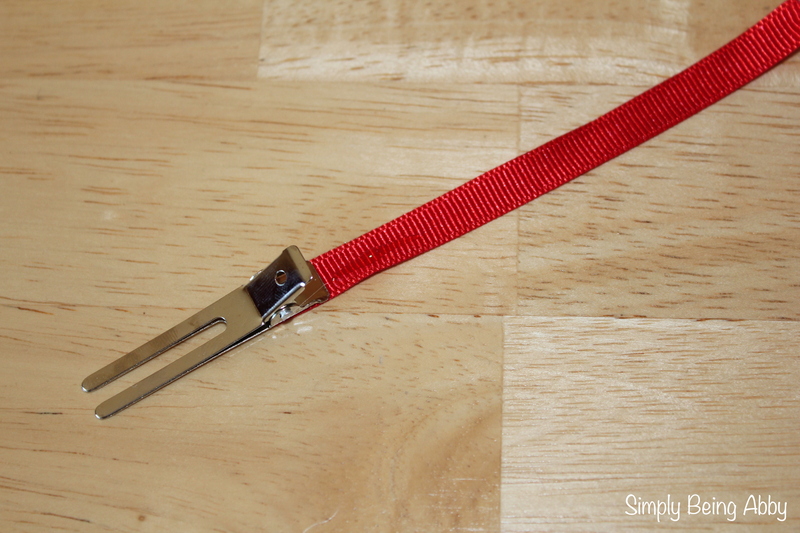 The clips I used were about 1.25 inches in length (not including the bending clip end). FELT: I chose to use white felt. I made about 30 bows, and used less than a quarter of one sheet of felt. The sheet of felt cost $0.25. SHELF LINER: I purchased Duck brand shelf liner at Wal-Mart. It was $5 for a whole roll and I used such a minimal amount of it that the liner still looks like a full, new roll. 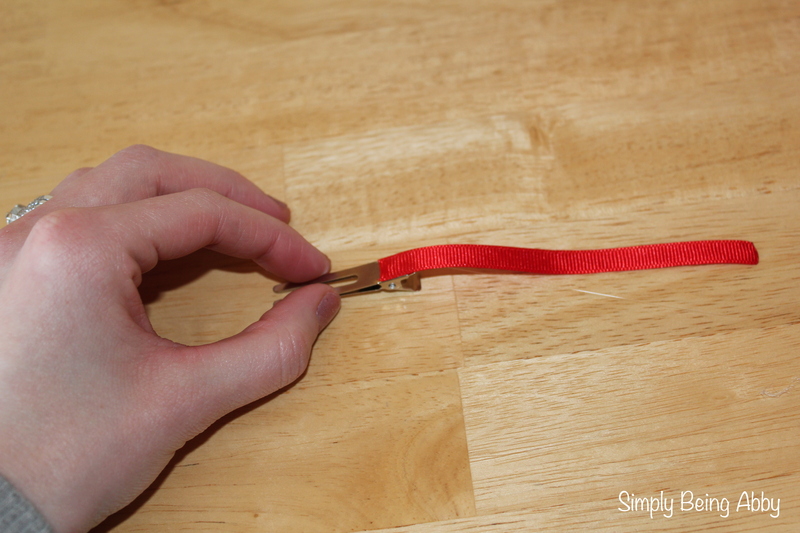 1) Cut three pieces of ribbon approximately 4-inches long and one piece 1.5-inches long. Note: You may need to alter the measurements for this if you use a different clip size than I used. These pieces will be used to make the bow and to cover the clip. 2) Heat-seal both ends of one of the 4-inch long pieces. This keeps the ribbon from fraying on the ends. 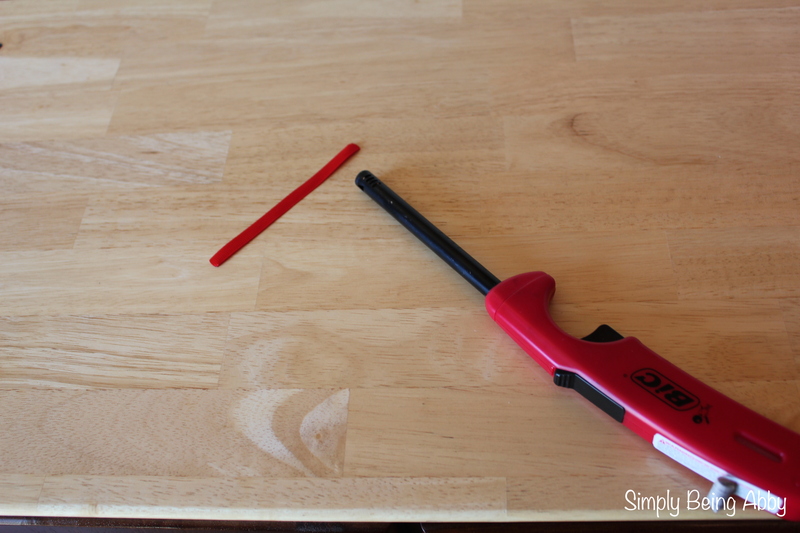 3) Using the piece you just heat-sealed the ends on, hot glue about 1/4-inch of the ribbon to the back, as shown below. 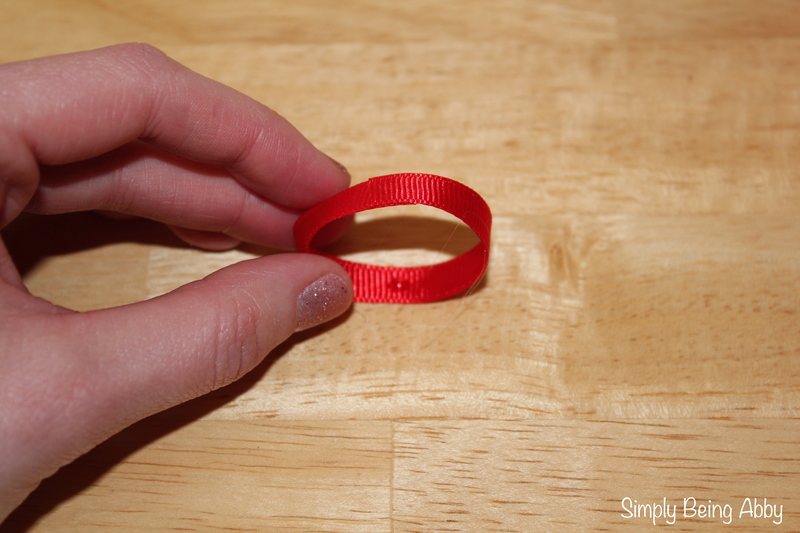 4) Put a thin line of hot glue on about another 1/4-inch section of the ribbon as shown in the first picture below. 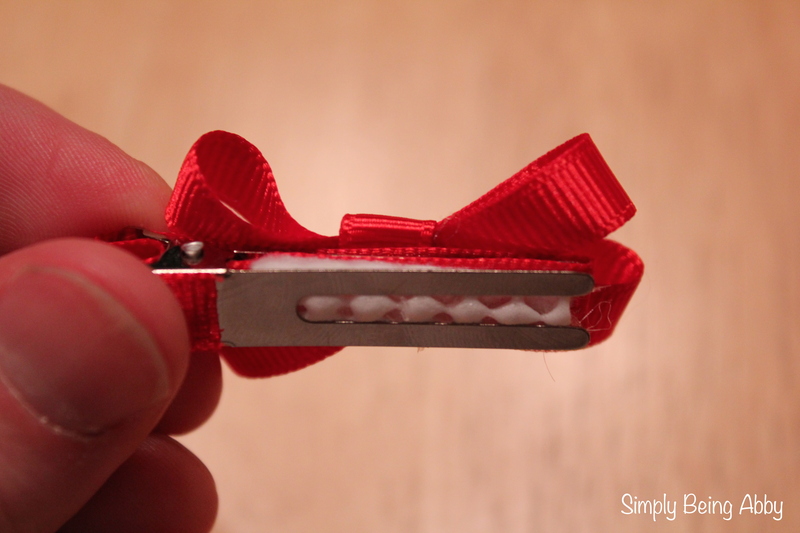 Then tuck the ribbon into the folds of the clip end (second picture). 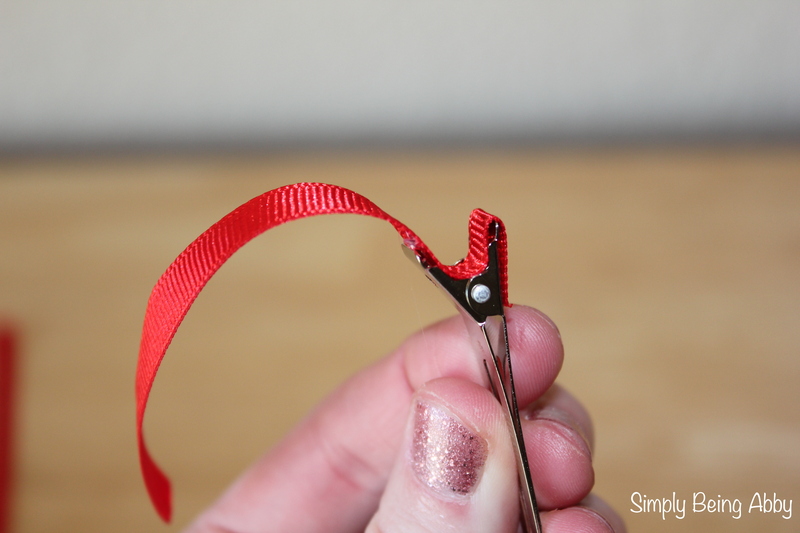 5) Line the remainder of the ribbon with hot glue and then fold it onto the rest of the clip, opening the clip to seal the sides together around the top side of the clip. The bottom side should just remain metal, as shown in the bottom picture here. 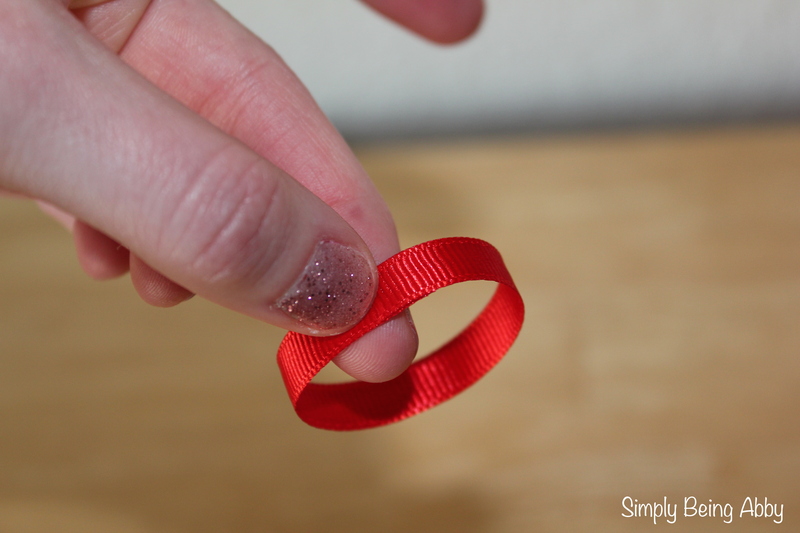 7) In the bottom center of each ribbon, place a dot of hot glue and then press the circle together to create a loop that resembles a figure eight on its side (see second picture). Do this with both of the circles. 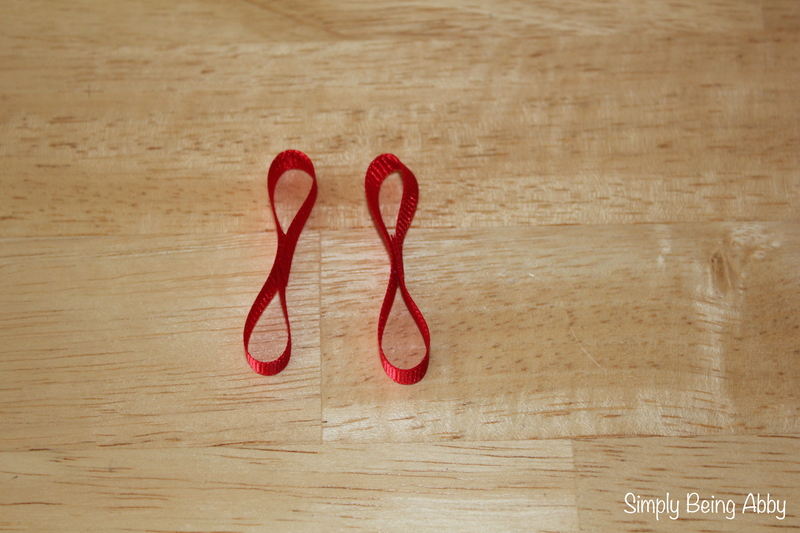 8) Cross each of the loops (with the seamed side-down) to make an “x”. Hot glue the two pieces together. 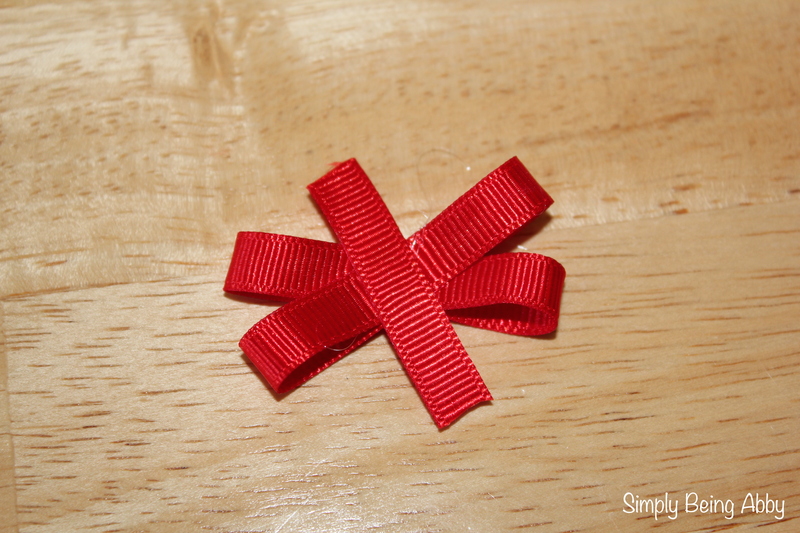 9) Take the last piece of ribbon, the one measuring 1.5-inches, and hot glue the center to the middle point of your “x” shape. Note: An option here would be to tie a knot for the middle of the bow, instead of leaving it flat. I found this to work better for me, this way, but if you want to experiment, that is an option! 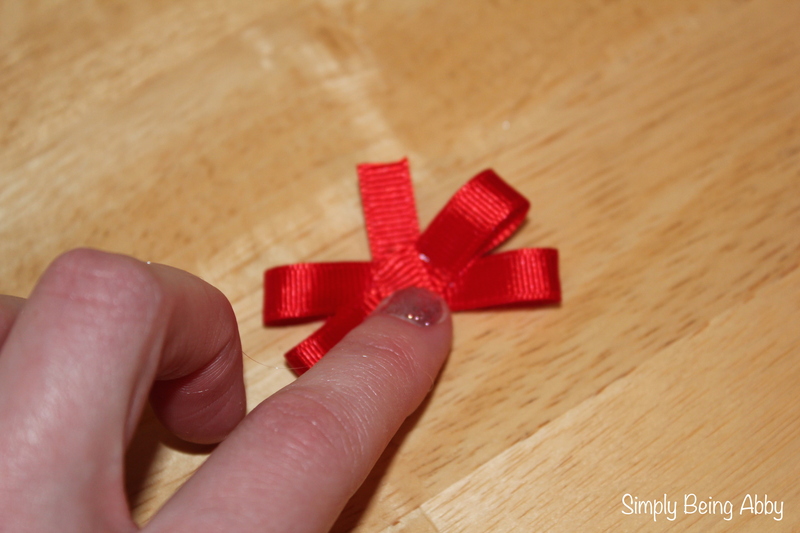 10) Turn the bow over and fold in the ends of the bow and then hot glue them into place. 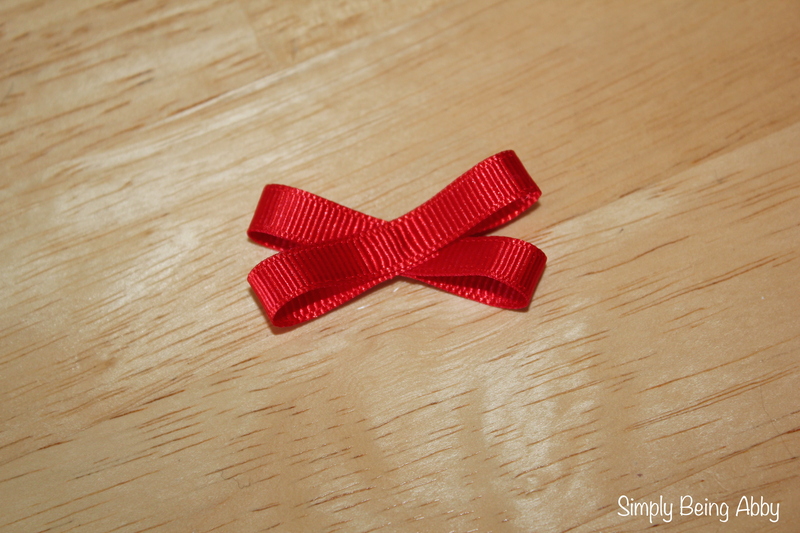 When you turn the ribbon back to the front, it should now look like a bow! 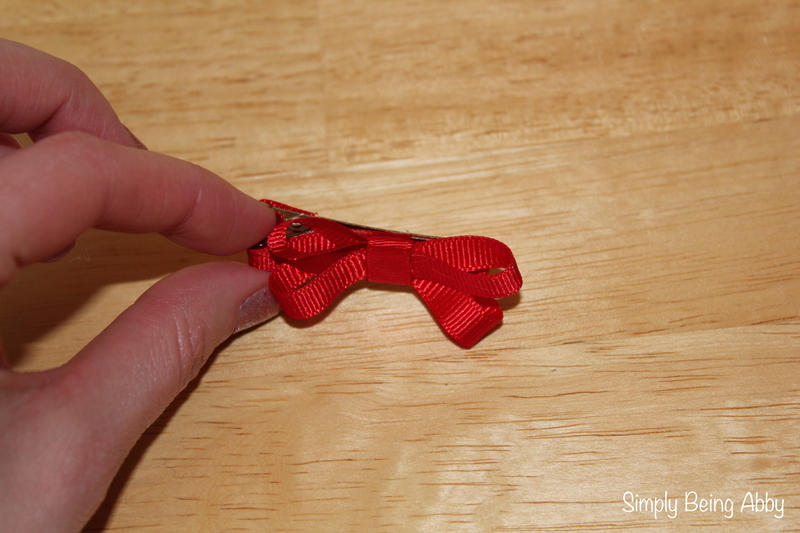 11) Hot glue the bow onto your clip using a dot of glue in the back center of the bow itself. 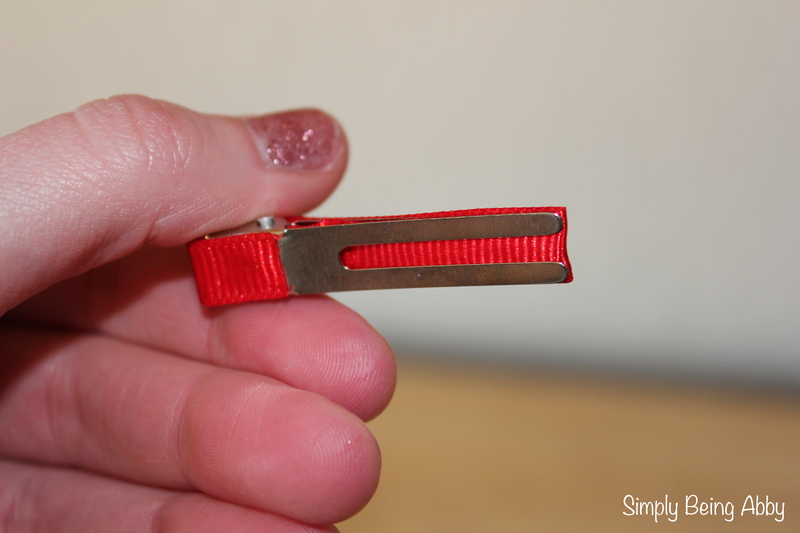 12) Now that you have the bow attached to the clip, you can make the easy, no-slip portion for the clip! 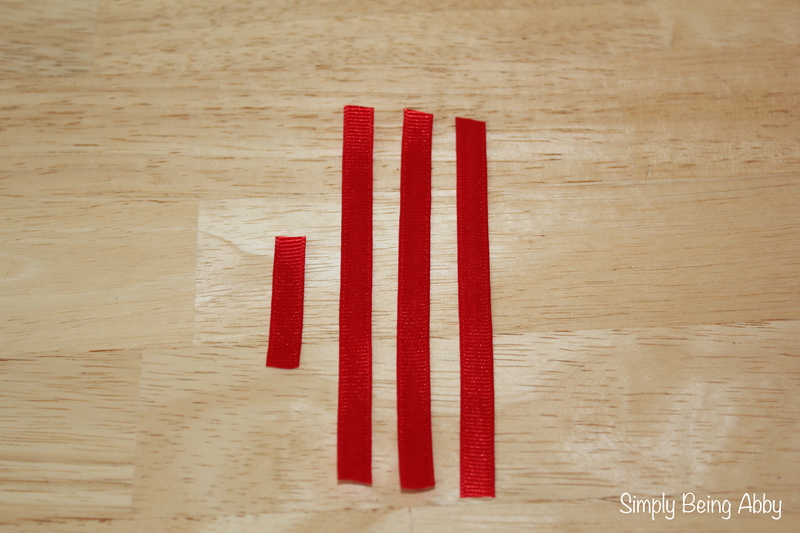 Cut a piece of shelf liner and felt the same size as the length of the under side of your clip. I cut mine to be about 1.25-inches in length and 1/4-inch in width. I then trimmed them to fit the clip so that it didn’t hang out on the sides at all. You don’t want this to be a noticeable part of the bow. 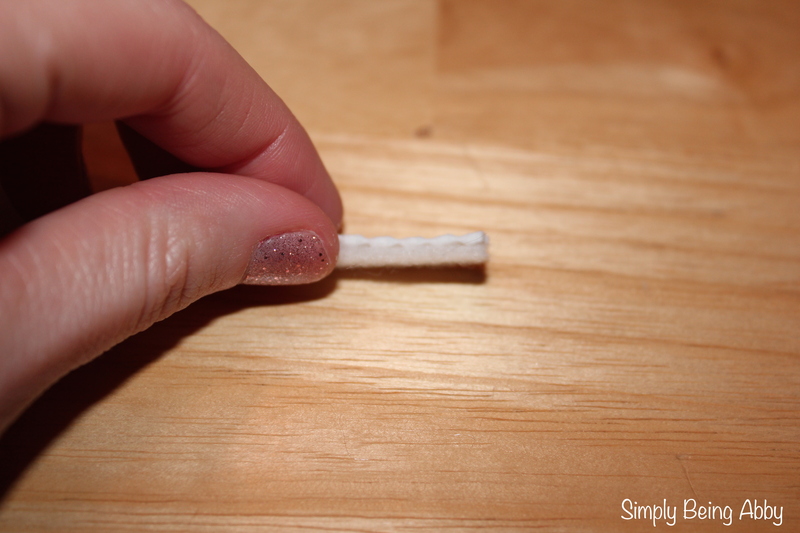 13) Hot glue the shelf liner to the felt. Caution! The hot glue will ooze out of the holes in the liner, so I recommend letting it cool to warm before you press it down with a lot of pressure. If your felt and shelf liner don’t line up 100% (as mine didn’t! ), you can trim them down to be even (second picture). 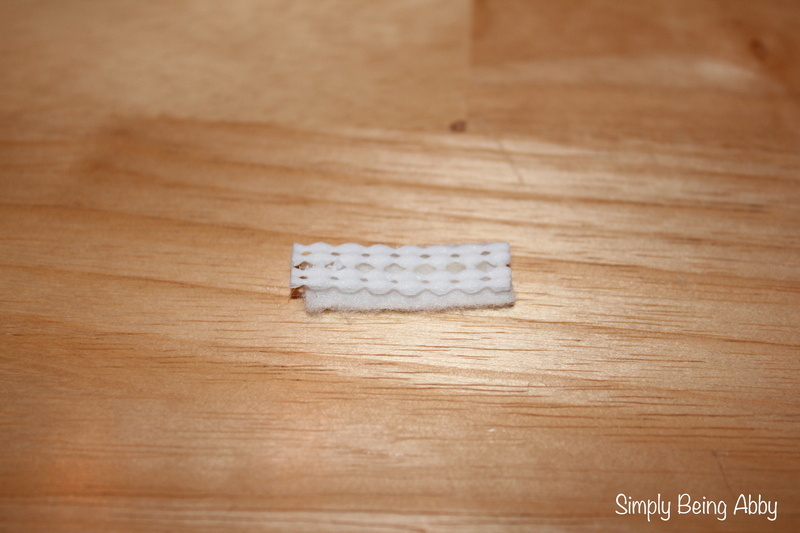 14) Hot glue the felt side to the underside of the top side of the clip. 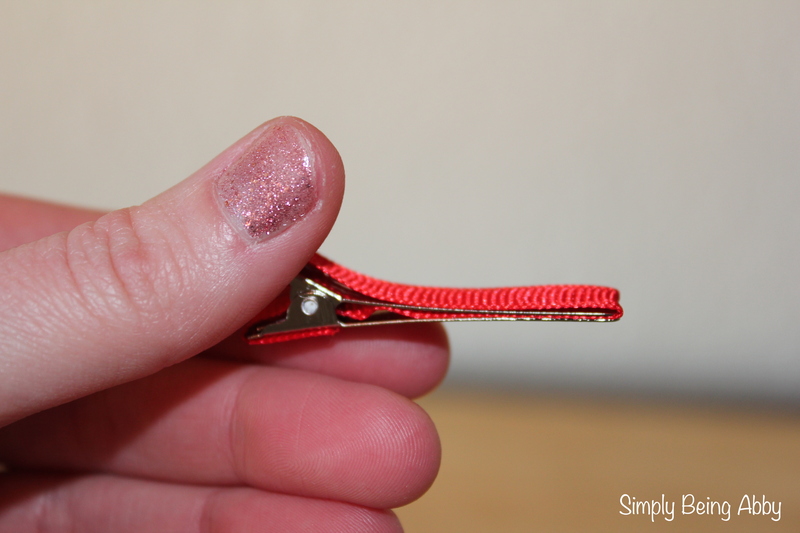 This allows for the shelf liner to be the part touching the hair to help keep the barrette from slipping! This may seem tedious, but once you get a system down, it will go a lot faster! After I made a couple of bows, I started an assembly line process and cut all the ribbon, made all the bows, cut the shelf liner and felt pieces and glued them together, etc. This helped streamline the process while allowing me to get pretty good at each of the steps since I was repeating it multiple times in a row. My dear husband even jumped in and helped with some of the gluing 🙂 Yes, he’s a keeper, I know! 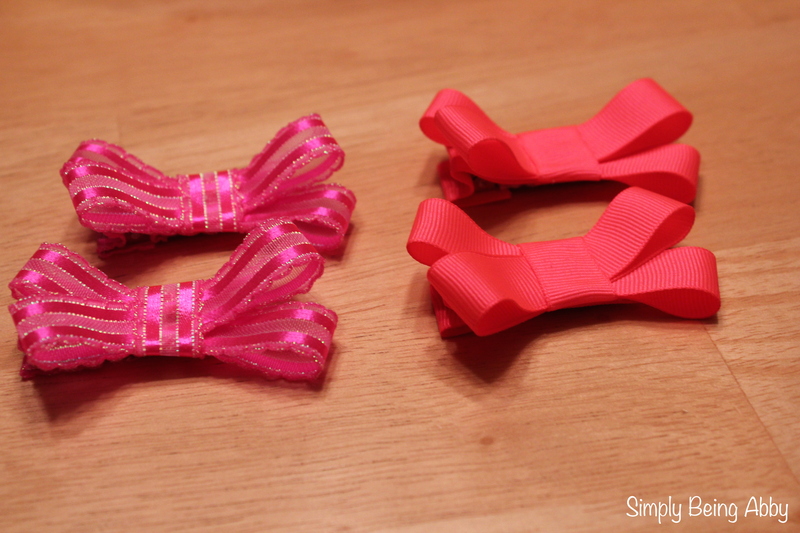 I did experiment with the 5/8″ width ribbon and below is a picture of the two bows I did using that width. For measurements here, I used two 6-inch length ribbon pieces (for the bow), one 4-inch length ribbon piece (same length for the clip) and one 2-inch ribbon piece (for the center piece of the bow). I don’t like how these turned out as much, but I wanted to give it a try because I loved the color and pattern of the ribbon! 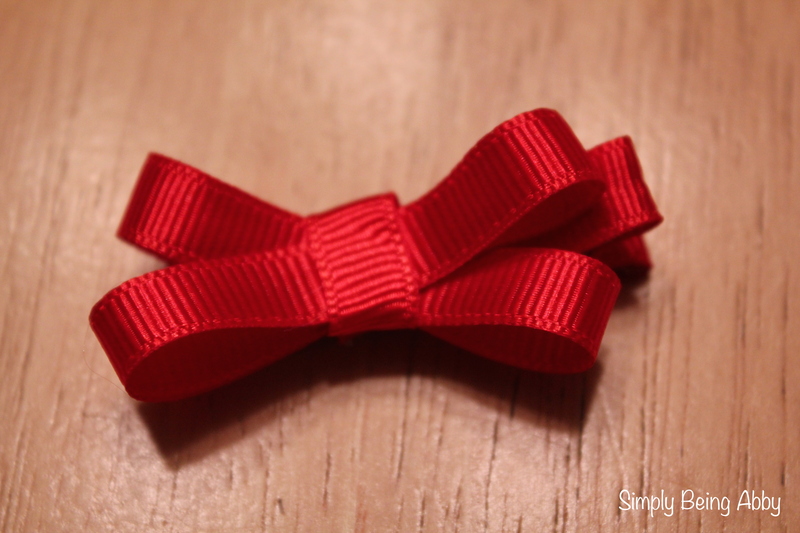 If you desire yet another option, you can find small flowers and use those in place of the bow on top! 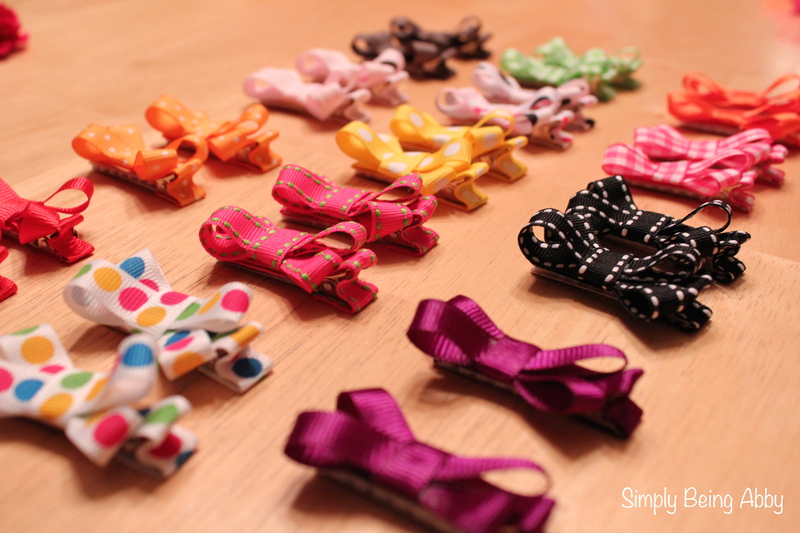 The result is a bunch of super cute, and affordable barrettes that don’t slip out of super fine baby hair! 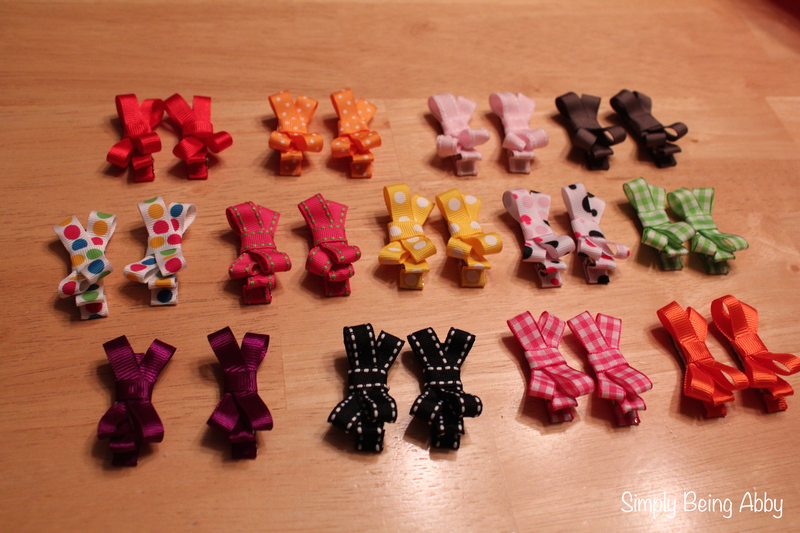 I went ahead and did pairs of each ribbon color as I envisioned Maddy wearing them in her pigtails someday! I think we will get a lot of use out of these. Interested in an approximate cost breakdown? 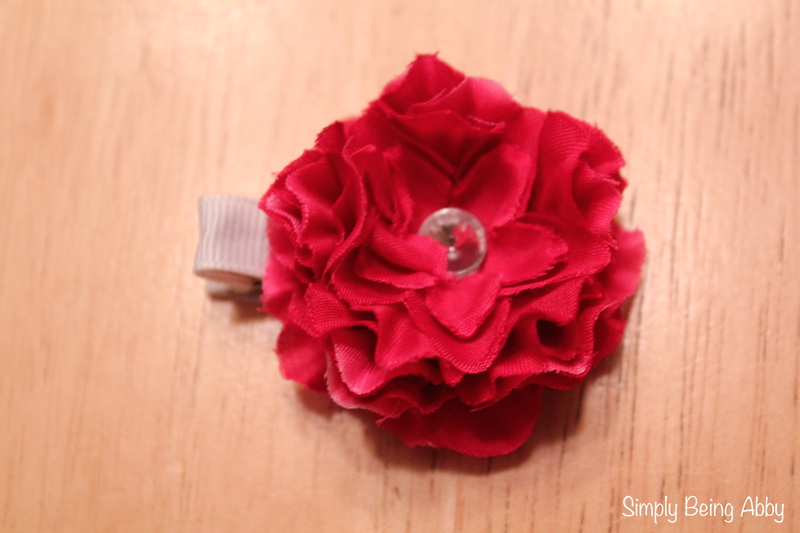 i loved it, super easy!i am making those!